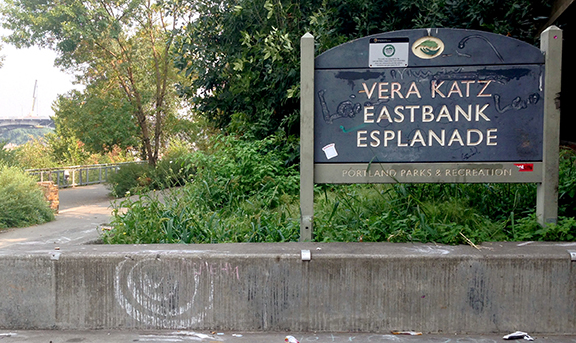 Starting in the month of hearts and flowers, Portland’s cherished Vera Katz Eastbank Esplanade is getting another kind of love: maintenance and repairs. On February 1, the busy river walk will close for two months for much-needed TLC after 18 years of constant use. 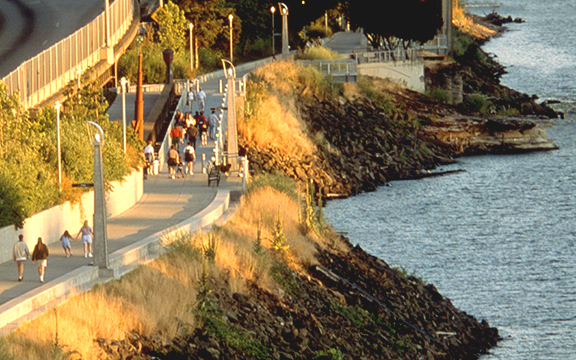 Since it opened in 2001, the Eastbank has remained a popular destination for waterfront strolls, rolls or jogs, affording excellent views of downtown, the Willamette River and its many bridges. 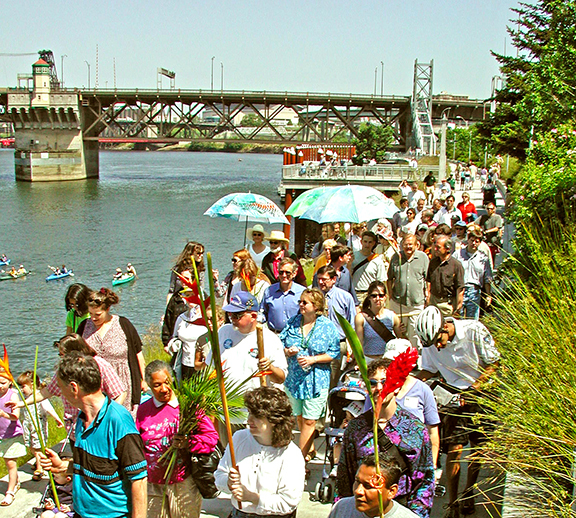 The 1.5 mile linear park, a long-desired amenity along the central city’s waterfront, was challenged by limited space between the river and freeway. When it was completed, it became an immediate hit, connecting with the west side downtown Tom McCall Waterfront Park to create a well-traveled loop. The city’s latest counts show that the esplanade withstands about 2,400 bicycle trips and 1,200 walking trips per day in summer. The Eastbank Esplanade is due for major maintenance. Thanks to the efforts of advocates and a city council that understands its significance to the community, the Eastbank will be spiffed up in time for the springtime masses seeking outdoor activity. And for the hardy souls who depend on the esplanade for year-round bike commuting, the city has your back with a detour onto the west side’s Better Naito. As designers of the award-winning esplanade, we at Mayer/Reed are heartened by the city’s investment in the Eastbank’s future and thrilled that it will continue to serve and delight for many more years. We think Vera would be pleased!